The JK Warc Antenna has been designed for Hams looking for a larger WARC antenna with 3-elements on 30M, 4-elements on 17 & 5-elements on 12M. 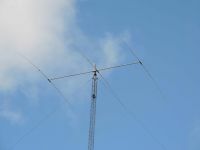 The antenna is a combination of the JK1217 and JK303 on a single boom. 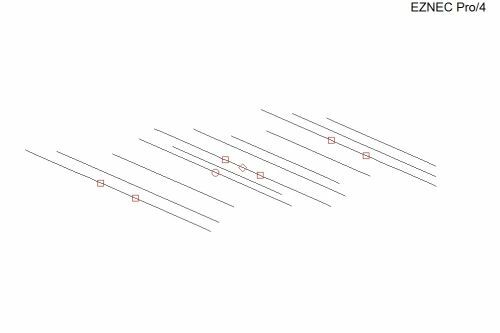 This Warc antenna elements follow the same taper schedules and element construction as the Navassa5 antenna for 17M and 12M elements. The 3-30M elements are identical to the JK303 elements and are Hi-Q coil loaded. This antenna uses a Single Feedpoint for all 3 Warc bands.